Having recently taken up a full-time post at UCL IOE London Centre for Leadership in Learning I spent much of the past month visiting schools and meeting the people doing the job I have just stopped doing. Professional Development Leads are uber-geeks of the staffroom. They are intensely interested in teaching and learning, and in PD that leads to better teaching and learning. 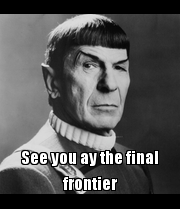 They boldly go where no PD lead has gone before, expanding the frontiers within their school and across their partnerships. A school will assess itself as ‘Gold’ if they feel that they have embedded their vision, culture, policy and best value principles within each aspect. The verifier’s role then – during a half-day visit – is to find the evidence to support that assessment. We want to know if the leadership of PD is present and understood at all levels, and does not just stop with the person with that in their job title. We are looking for examples of staff development practices which are innovative, research-informed and which reach the whole staff and make a difference to them and to the children they are there for. And we want the PDQM to encourage and reward ever stronger partnerships between schools. Kaizen is a small primary school with a big imagination. It is a lead school for the Trust and the Teaching School Alliance it sits within; several of its leaders are seconded to work with its partnership schools. It is hard to do justice here to the breadth and depth of their development activity, so I will limit myself to just a few examples. Kaizen grow leaders, for themselves and for other schools. Colleagues join the leadership team as ‘trainee headteachers’. The Head of School for Teaching and Learning said: ‘It’s an opportunity to cut their teeth. It’s all part of our succession plan to grow leaders for the school and the trust.’ Three have left in the past 5 years to head other schools. ‘That’s part of our success,’ she says. Performance Management operates in most schools as a review/target-setting meeting near the beginning of the year, perhaps with an interim assessment thrown in at the middle of the year, with lesson observations and pupil progress used to measure the achievement of objectives and standards. Not so at Kaizen. Eight to twelve times a year they use their Professional Improvement Planning (PIP) Exploration Book. The Head of School said: ‘It is self-directed as much as possible. The Exploration book advertises opportunities and expectations. We want to explore practice, not assess it.’ PIP – applying also to support staff – additionally embraces bi-weekly PIP meetings, and weekly professional dialogues, which means there is a constant conversation about professional learning. In addition, they have access to a Professional Development Reflection Interview and benefit from leadership coaching provided by an external professional coach. All teachers – from School Direct trainees upwards – work towards ‘Teaching Plans’, which are focused targets around quality first teaching to meet the needs of pupils, prompts for how to achieve them and identification of where support can be expected. The Teaching Plans fit within the scope of the Kaizen Directory, a ‘help guide for self-development.’ It includes action plan frames and ‘how to’ guides. These ‘Teaching Plans’ ensure that every classroom is engaged in the business of improving the quality of teaching all of the time. 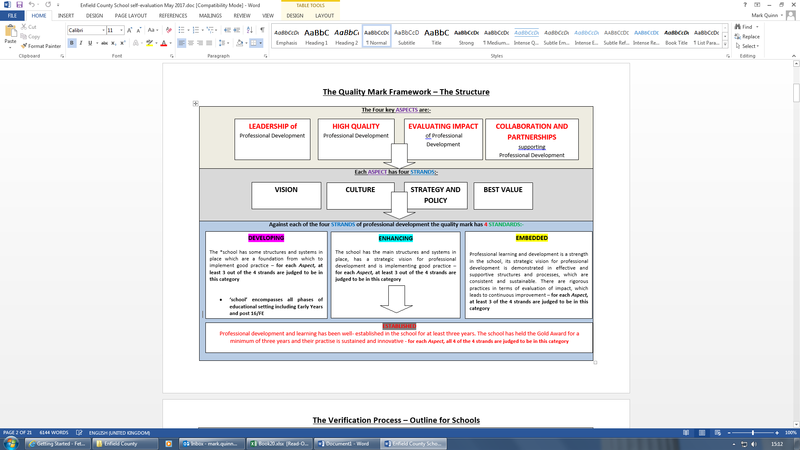 Kaizen brings its school improvement plan to life through internal research enquiry. All classroom staff, working in Teacher/support staff teams, contribute through the year to the Learning Bulletin, which captures the mini action research and practice of colleagues around an area of pedagogy. 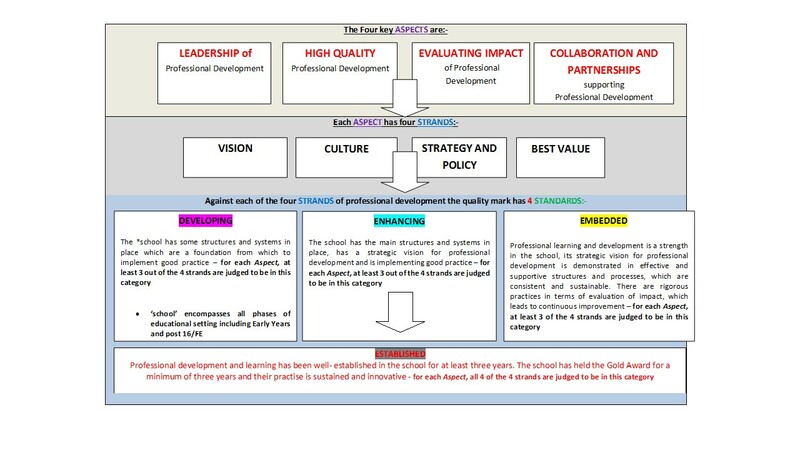 The PD programme is characterised by research-informed approaches to pedagogy and professional development leadership. One of their inset days is divided across 5 Teaching and Learning Breakfasts (TLBs). 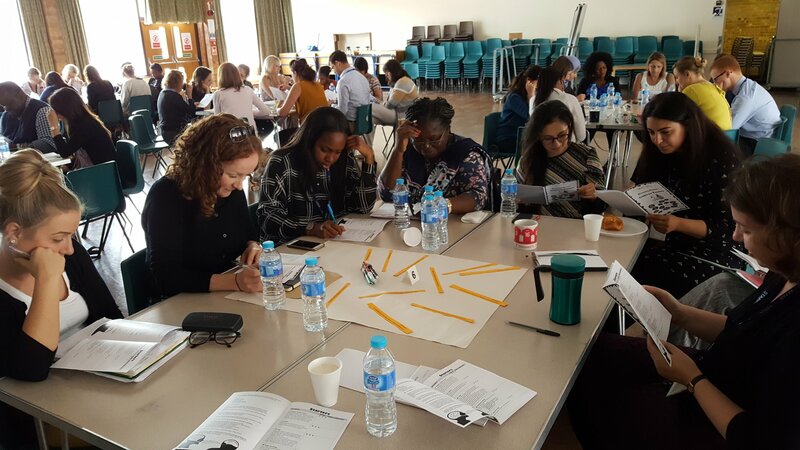 The PD lead had recruited four ‘expert teachers’ to run 5 workshop groups (each focussing on an aspect of outstanding learning, such as flipped learning, growth mindset, pupil-led learning), which meet for 2 sessions. ‘Bridging tasks’ between sessions ensure that professional learning translates into professional development. The workshops are repeated once in the year, and again twice the next year, so that every teacher will experience every workshop. The 5th TLB each year brings everyone to the hall, and tries to draw together the strands of the workshops. This year they realised that oracy was the theme that overarched the others. The PD Lead insured the event was research-informed, sharing insights from the work of Professor Neil Mercer, James Mannion and School 21. Enfield County School teachers, enjoying their Teaching and Learning Breakfast. All of the staff interviewed spoke highly of the Book Club/ Lesson Study action research they have done, and could point to impact. E.g. one head of year worked with a group of difficult year 10 girls to write and deliver a CPD plan for how to deal with behaviour like theirs. ‘This is the sort of micro-level, fine-grained feedback which there is time for in this school,’ he said. One expectation of PDQM is that professional development leads from Gold schools receive their own training to become verifiers for the quality mark. Visiting other schools – ‘exploring new worlds’ – should be built into the annual performance management of every PD lead. There is so much to learn from others doing similar work elsewhere.